Barrel Ovens are very practical and wood efficient ovens, ideal for daily cooking activities and you can easily cook for larger groups. The oven allows for spontaneous use – in comparison to the heat retaining, dome shaped, cob ovens – since it heats up in 15 to 20 minutes using very little wood. Barrel ovens are ideal for pizzas and bread, as well as for roasting vegetables, making quiches, cakes and many other things. 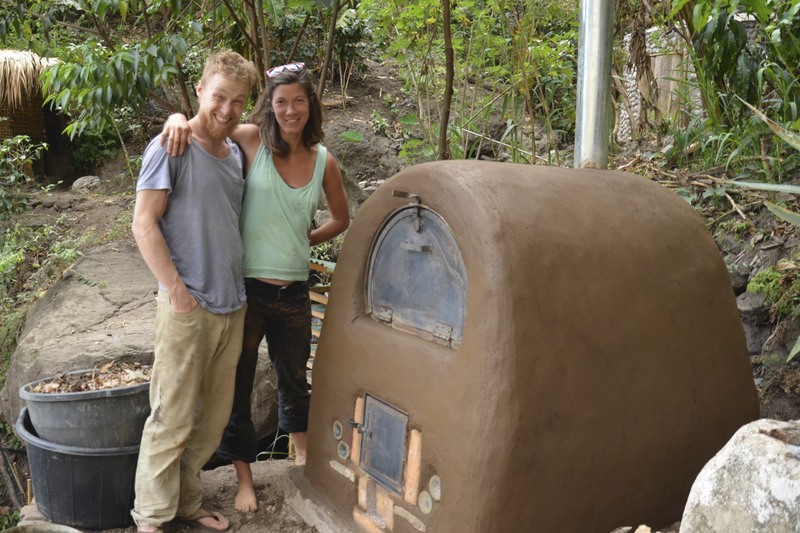 The oven can be built entirely out of recycled and natural materials at a very low cost. to create a capillary break, we dug down 20cm, filled with gravel and put a layer of gravel filled bags on top to distribute the weight of the oven evenly. we cobbled around the outer barrel and filled the gap in between. we used pumice, very lightweight sand that insulates against heat loss. we put on a layer of plaster right away. basically just moistened the cob mix a little more and evened out the surface so it’s ready for the final plaster! Looking forward to baking in there soon!